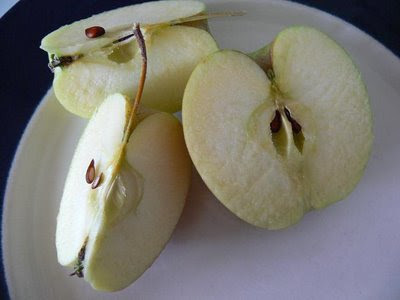 We managed to grow three of the most beautiful golden delicious apples. They didn't last long. I snapped this one while chopping it up for the owlets to munch on... Here's hoping for more next year!! I went apple picking this week. there nothing like fresh apples from the tree YUM!